I was trying to make sense of the many Esri Developer Summit related tweets in my feed over the last few days. I did much better once I learned some new vocabulary, which I share below. 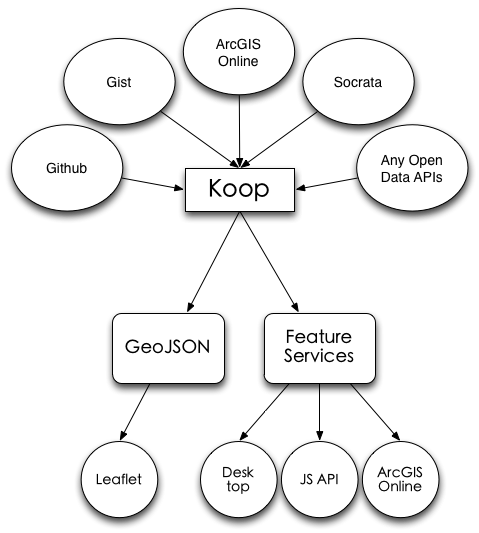 Koop - Koop is an open source project that makes data available via APIs work like Esri Feature Services and other formats (GeoJSON). 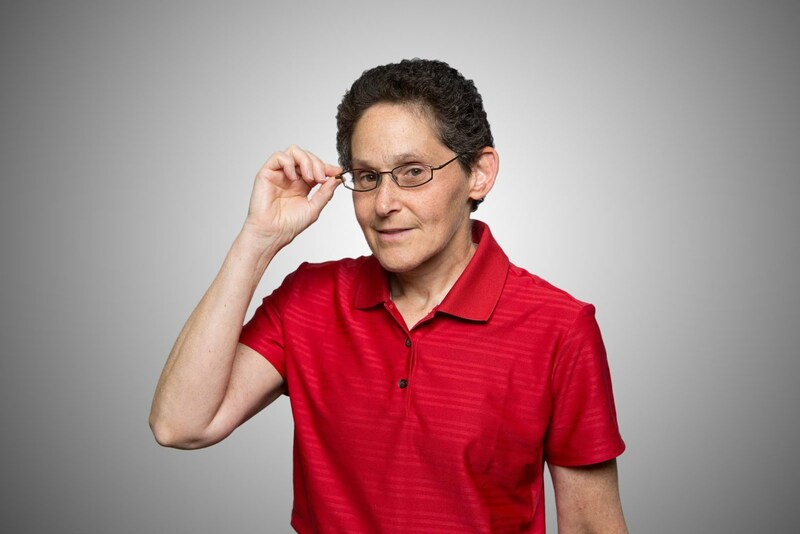 "Koop aims to allow easier access to any open data API and to make third party data easier to use within the realm of Esri's geospatial web products." Koop is a project of the Esri DC R&D Center. This graphic helps explain Koop. Conda - Conda is an open source package management system and environment management system. It allows programmers to install multiple versions of software and their dependencies and to switch between them. It works on Linux, OS X and Windows, and was created for Python programs, which is why it's popular within the Esri development arena. Now it works for any language. Jupyter Notebook - The Jupyter Notebook is a Web implementation that allows you to create and share documents that contain live code, equations, visualizations and explanatory text and supports 40 different languages. The Jupyter Notebook, like Conda, started as a Python tool and spun out to support other languages. Docker - Docker is an open platform for developers and sysadmins to build, ship, and run distributed applications in containers on laptops, data center VMs, or the cloud. It's open source, but like CartoDB you can use a hosted version, called container as a service (CAAS), for a fee. Kubernetes - Kubernetes is a Google tool that allows an administrator to manage a cluster of Linux containers as a single system. Or, to put it into context with Docker, "Kubernetes is an open source orchestration system for Docker containers." If you want more coverage of the event beyond tweets, some of the videos are available and I found these recaps from GIS Inc. helpful.